The email database is one of the most effective tools in any event organiser’s arsenal. In fact, Experian claims that the average single email subscriber is worth £84.50. For years people have been trying to predict to the eventual collapse of email marketing but the fact remains that it is still one of the most effective ways we have of communicating with our customers. 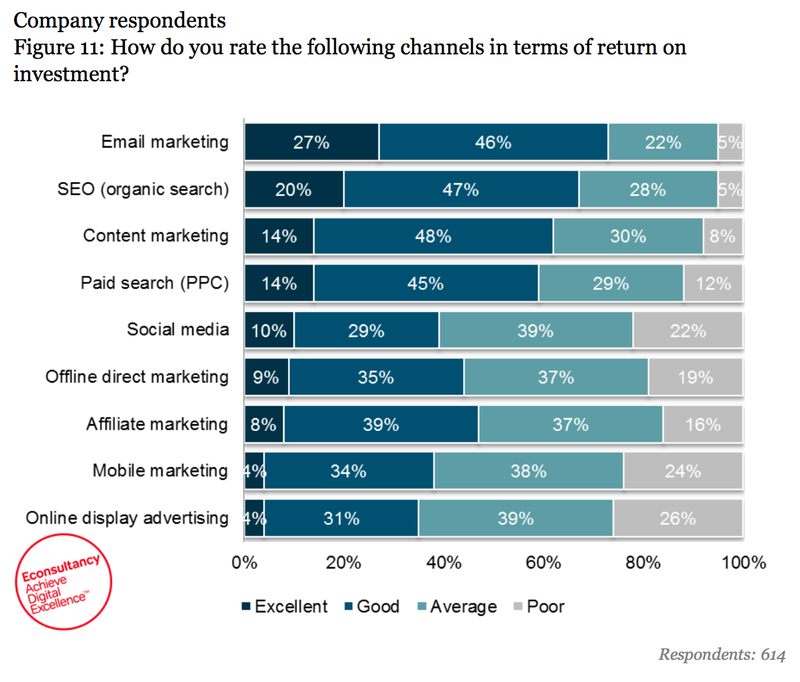 Econsultancy’s 2016 Email Marketing Census confirms this, with almost three-quarters of 614 company respondents rating it as good or excellent for ROI. The highest proportion of any channel cited. 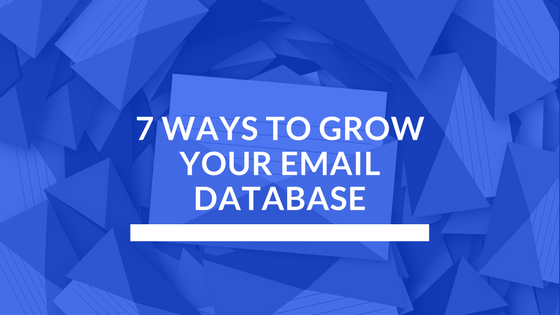 But keeping your email database fresh with new contacts can often be harder than it seems. Here are 10 ways to grow your email list on your existing pages and platforms. You scratch my back, I’ll scratch yours. A quid pro quo agreement. In other words, if you want someone to give you their email address, you need to provide them something of value. You can promote these in a variety of ways; lightboxes that pop up when browsing your site, static display ads or in the body of your content. All that you’ll need to get started is the capability to capture data by way of a lead generation form. If you haven’t currently got that functionality, check out OptinMonster who have a pretty robust platform that allows you to do everything you need to grow your email database. Leading on from the last point, we need to be offering something in an exchange for an email address. But it’s no use having these promotions hidden away on certain pages where they can’t be found. You need to have a call to action on every page; they need to grab people’s attention. We can also increase the conversion rates of our lead generation forms by putting them in relevant places. For example, if you’re giving away a free training guide for your event, you’ll want to place it on pages that are actually relevant to it. Try to put yourself in the shoes of the reader and think what offers would provide my customer’s value, or more importantly, where it can provide value. Talking to people face to face often gets overlooked when it comes to growing your email database for obvious reasons. But when looked at objectively, you’ll see that with a little thought, having a live presence can be hugely beneficial for getting new subscribers. Again, we go back to the first point. We need to be offering something of value. You need to measure the cost of putting on an event or attending one compared to what you think the lifetime value a particular person can provide. – Putting on a training day for your event when people can get exposed to your brand. – Give away branded products in exchange for an email address. – Local competitions to win branded prizes. Always be thinking about how you are going to collect the email address. If you’re in a face to face environment, it can be difficult to collect data without giving something in return. Make sure you’re fully equipped to collect! The landing page is one of the most important elements of any inbound marketing campaign designed to grow your email database. Their layout, copy, design and functionality all have an impact on your ability to create conversions from visitors. If you’re spending money on PPC or social media campaigns, it’s so important that you optimise your landing pages so that you can convert as many potential customers as possible. There is no ‘one size fits all model’ to follow when building the perfect landing page. There are, however, many different elements that the most successful landing pages include, most importantly an offer. The guys over at Kissmetrics made this amazing infographic about the elements of a landing page that you need to focus on. If you’re stuck for inspiration, check out our favourite landing pages article for a few ideas. Whilst the bulk of your lead generation will take place on your own website, social platforms are upgrading their functionality to allow you to do it there too. Although not completely new, social media is a heavily underutilised tool to capture email addresses. First off, Facebook. We know you can’t generically gather email addresses like you would on your site, but did you know you can customise a tab to work the same as a landing page? Take a look at Nike for example. They have chosen to showcase their Nike+ Support page, which acts as a de facto landing page on their Facebook profile. As you can see, they have all the functionality of any normal landing page. Except that it has a presence on Facebook. This is a great way to turn likes or follows into an email address. We suggest following the same strategy that you use for your current landing pages to showcase your best offers. If you’re a Twitter user wondering where your lead generation cards have gone or why they aren’t working, according to MarketingLand, as of March, this service has been discontinued. This news is a big shame because it was a great feature for lead generation. Twitter have some catching up to do! People are lazy by nature and we want things done quickly. So in response, we need to keep our lead generation forms easy to fill in. When deciding what data you want to capture from prospects, keep it as simple as possible. Where you can, just ask for a name or email address. There’s nothing worse than finding a great offer that you want to indulge in, only to find there are 20 questions that you have to fill out. Keep it short and only collect the essential information. This also means cutting out captchas and other similar barriers. Sure, they may stop a few bots coming through, but they may also stop a few potential customers too. As humans, we tend to be more willing to do something if others are also taking part. We can utilise this form of social proof in our offer or landing pages.